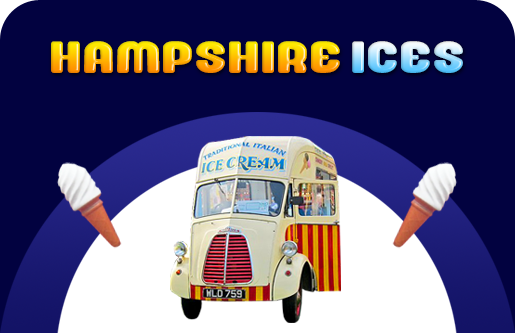 Welcome to Hampshire Ices, the professional ice cream van hire company catering services across Hampshire and Surrey. Over the past two decades, we have been building our reputation in the ice-cream industry with our mouth-watering ice-cream flavours and by offering our amazing services at various events. No matter what kind of event you are planning, we promise that we can work towards your requirements to give you exactly what you desire. 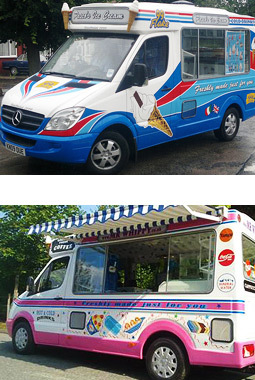 We offer immaculately clean and modern-day ice cream vans that are all fit for purpose. We are proud to say that we have worked with associations such as The Round Table, The Rotary Club, The Local Food Britain, The National Trust, and many more. Our endless visits to charity events, school fairs and village and food celebration events made us what we are today. We believe in engaging ourselves and supporting the most meaningful causes. We believe in providing impeccable customer service combined with top quality food and undivided attention which makes your occasion a total hit. Our ice creams are handmade and are chosen from the finest suppliers such as Callestick Farm in Cornwall, Marshfield Farm in Bath and many more. 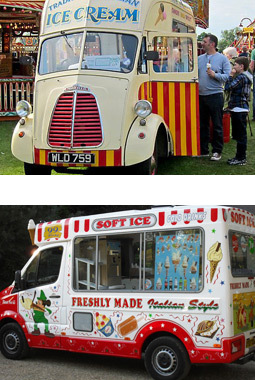 Our eco-friendly ice-cream vans are never out of style. 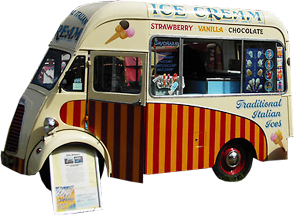 We supply Vintage Ice Cream Vans for hire, traditional vans, miniature vans and retro style vans which are environmentally safe and reduce air pollution. So, contact us today for some of the tastiest ice creams and we guarantee you a successful party. Like us on FACEBOOK at Surrey Ices. Follow us on Twitter and Instagram. We provide our full attention to each and every booking and always endeavour to do our utmost to guarantee every event a success!! Give us a call today on 07973 749 392 to find out more.